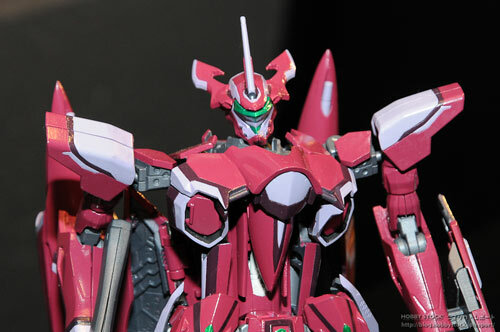 Update (10/03/2009): New blog post at Amiami here. Judging from the better photo featured in this post of the VF-27 which shows its size in relation with the other DX toys from Tamashii, its starting to firm up the evidence that this is actually the much anticipated 1/60 DX Chogokin VF-27...Woohoo! 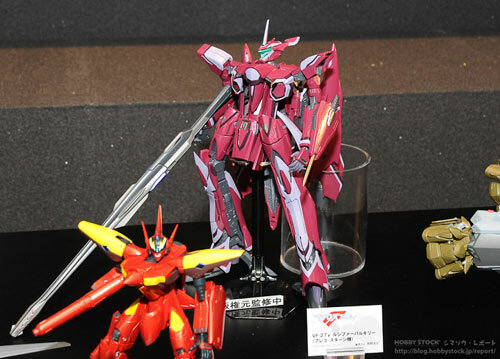 Notice how similar it is in size to the VF-25S armored of Ozma Lee found on the shelf. 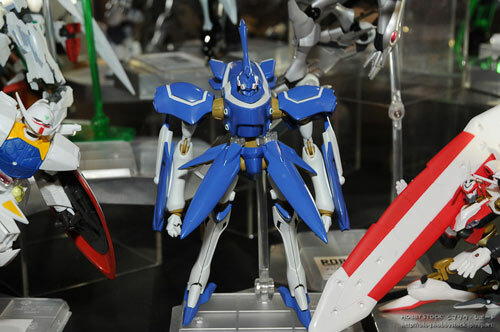 First shots of Tamashii Nations Autumn 2009 show at Akiba Square are already up at Hobby Stock and Amiami. Of particular interest to me is this shot of a VF-27 Lucifer. 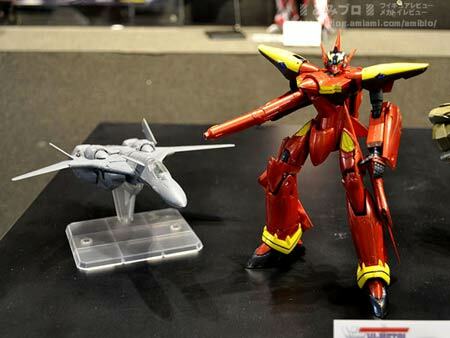 Which begs the question, is this a 1/72 model kit or a 1/60 DX Chogokin of the VF-27 Lucifer? I'm asking this because Tamashii usually handles the DX Chogokin and not the 1/72 model kits of Bandai. 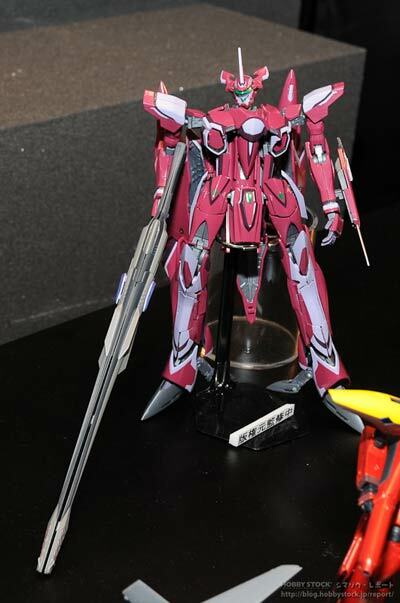 Not to mention that the published product line-up of Tamashii for the show didn't say anything. 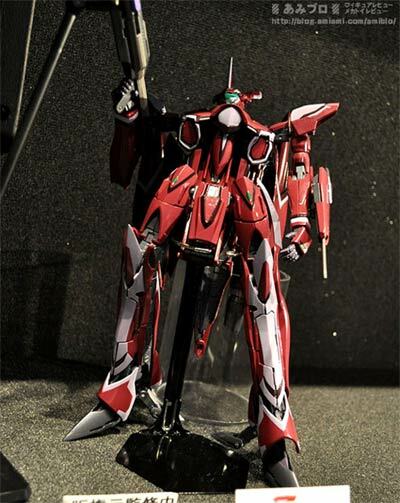 One other thing, in another blog post at hobby stock, in place of the price it just said that this VF-27 was a display model and the price had not been determined yet. While the real 1/72 VF-27 model kit is already up for pre-order with a price around 5000+ yen. 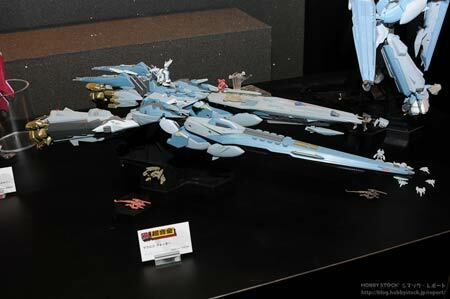 Also featured was a diecast Hi Metal model of a VF-19 Fire Valkyrie flown by Basara Nekki in Macross 7. Its supposed to be release by January 2010 and will retail for 7350 yen. And the much awaited DX rendering of the Macross Quarter. 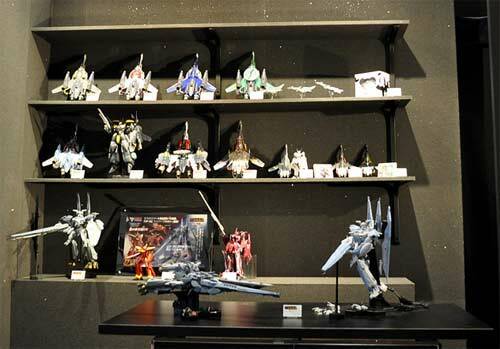 Aside from the Quarter I see miniature versions of the Quadluun Rea, some VF-25's and a Vajra unit.